Sleep Tight is quite the indie game at the moment, for it is currently a finalist for this year’s Momocon’s Indie Game Awards Showcase, and it also has many game developer and entertainment industry veterans working behind the scenes. As was stated on May 22 in a press release, Sleep Tight has bumped up its playable roster from four characters to twelve. 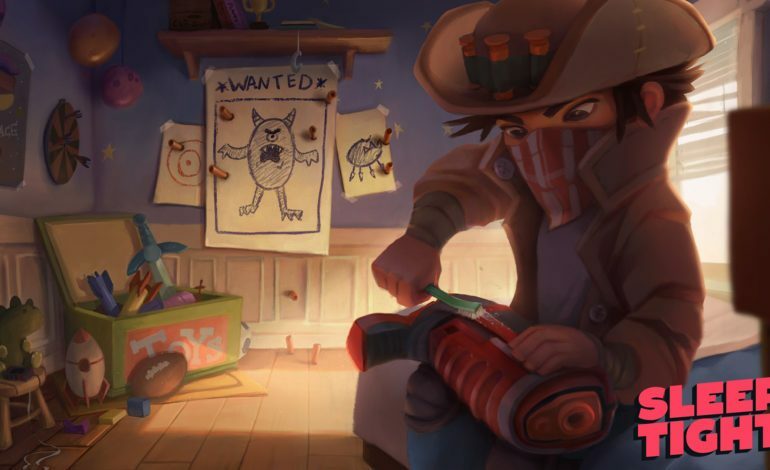 The Arcade-style twin-stick shooter puts players in the shoes of one of twelve neighborhood kids who must defend themselves from the nightly monsters and ghouls that creep at night. After being terrorized every night, the kids have decided to fight back, and they must defend themselves from these monsters until the sun rises. These kids will have a array of weapons to choose ranging from dart guns to water balloons, and each kid comes with their own unique skillset and style of play. After each night assault is done, money gathered from the previous night of combat can be used to build elaborate forts made from pillows, construct allied turrets, and purchase helpful upgrades that will turn the tides of battle in the later, more challenging waves. We Are Fuzzy is made up of many talented industry veterans, and it is currently headed by Maxx Burman, the co-founder and creative director of the studio. Burman is a VFX artist that has worked on well-known titles such as Far Cry 5, Iron Man 3, and Game of Thrones. In addition, the illustrator at We Are Fuzzy, Dylan Ekren, has worked on the hit animated films Wreck It Ralph and Zootopia, and the designer, Oscar Mar, is an Ubisoft designer with games like Far Cry 3, Tom Clancy’s Splinter Cell: Conviction, and Rainbow Six Siege under his belt. Sleep Tight will hit digital stores on July 26 for both the Nintendo Switch and the PC.